Just Released – New Come Singing CD! With the help of generous funding from Norfolk Community Foundation and the Jay Singers we have just launched our second CD! Ashley Bond – The Name is Bond, Sound and Vision Production – made the whole thing possible, and we have just released a new CD called ” You Can’t Stop Singing”. Ashley recorded us over several sessions at three different locations and has managed to capture the joy in our singing as well as making us sound pretty good as well! 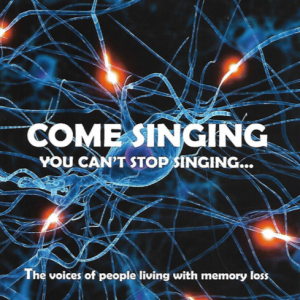 Copies can be obtained from any of our singing venues – see ‘where we sing’ – or telephone 01603 452404 for more information. 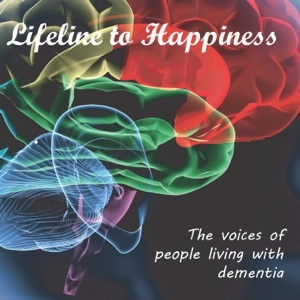 Lifeline to Happiness is a collection of songs recorded by two of our therapeutic singing groups. The title, which so beautifully sums up the spirit of our wonderful singers, comes from a comment by BBC Look East reporter Clive Lewis when he visited us in 2010. The recording, for which we owe John Kramarchuk and colleagues from the UEA School of Music grateful thanks, captures some of the atmosphere of these sessions with people living with dementia – the exuberance and enthusiasm of the singers, the squeaky piano pedal, and the sheer joy of making music together. 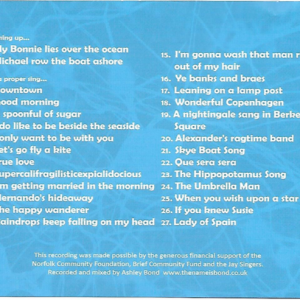 A few songs appear twice on the CD simply because they were too good to leave out!